Christmas is fast approaching, you may not think so, but it is! Before you know it, it will be on our doorstep! I got a couple of emails asking how to paint the inside of the glass ornament without it getting funky. I figured a new trick, which, I did for the TARDIS ornament but not for the pink one (I honestly think that ornament was jinxed, it broke, see here) and the pink one was a mess to work with. 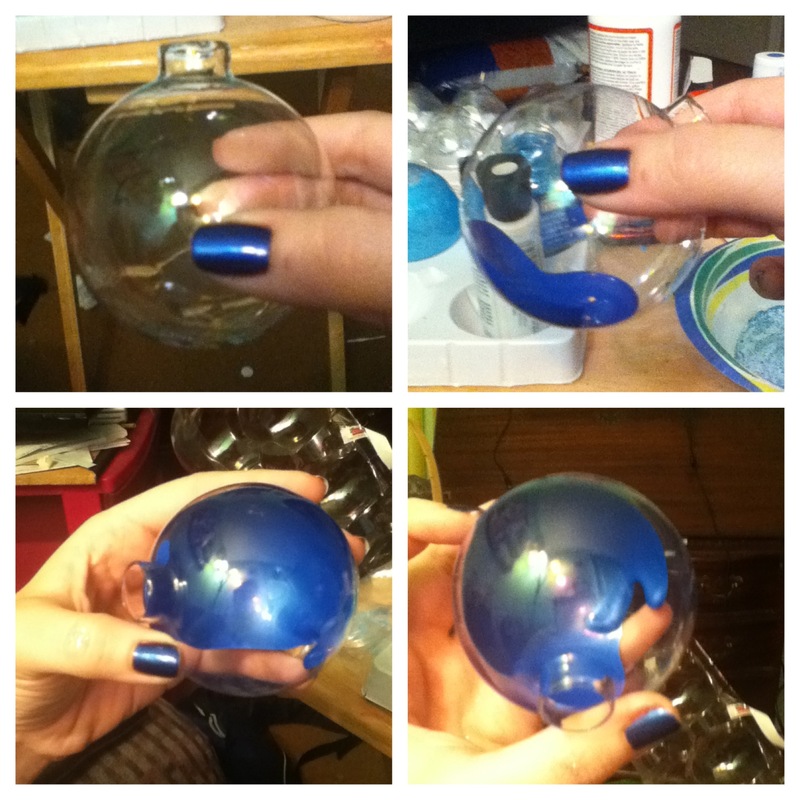 Heather’s How-To: Paint the Inside of Glass Ornaments! So I can’t stress enough of the use of an enamel based paint, this works much better for glass and gives a cleaner look. For the pink ornament, I used a straight acrylic with no enamel and I am wondering if that’s why I had so many problems with it inside. It doesn’t dry nearly as quickly as the enamel based paints and some acrylic are just too heavy to use, they become a big mess. I have found that mixing those heavier paints with some mod podge and some water make it a bit easier to use, but at times does not dry solid. 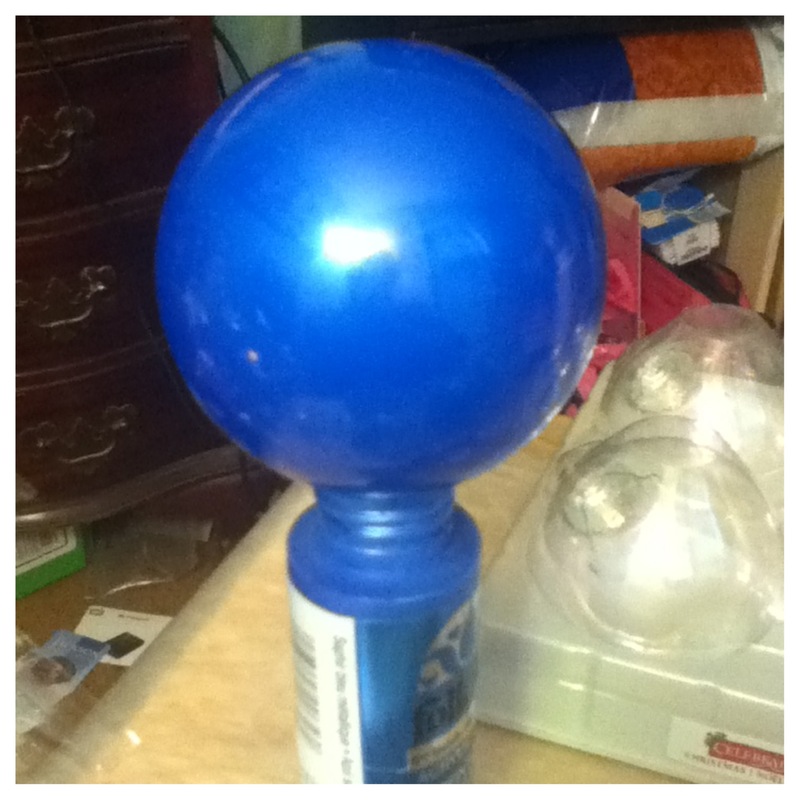 After pouring some paint in the ornament, twist until the paint completely covers the inside. You might have to add a little bit more to keep it running around the sides… it tends to begin to dry and won’t coat as well. I found these ornaments fit perfectly in a bottle of paint, so if you let it sit upside down, you can let the paint fall back into the bottle without wasting any! I wish I had thought of that before! 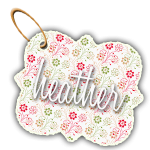 The same goes if you are using a mod podge and glitter mixture, you can always save if you want to do many of the same kind and use some of the disposable ones from Martha Stewart. Again, this probably isn’t genius, but I was pretty proud of myself for thinking of it! I wish I had done this with the pink one, I think there was too much paint left over inside for it to dry properly before I continued… fail on my part. Just let the ornaments sit and dry for a bit, I’d say at least a day since it’s a rather small hole and needs to dry adequately. With the acrylic, I didn’t let it dry long enough for the amount of paint inside. 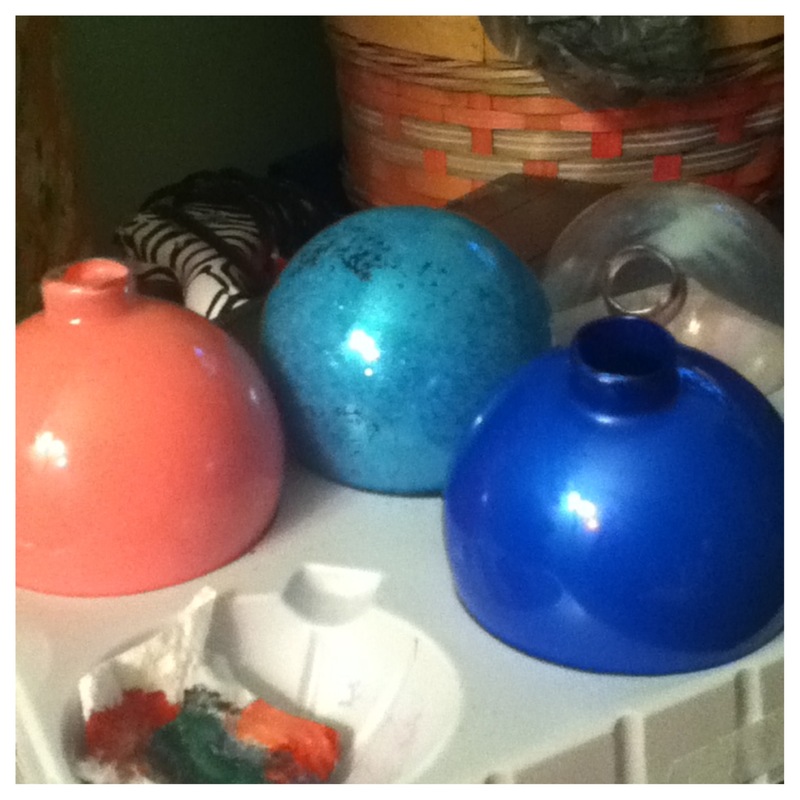 I went to put it upside down so the rhinestones at the bottom would dry, with the lid, and it all came out! I had to completely redo the inside, I was full of sadness. I know all of this probably seems so simple, but I hope it helped those who asked! 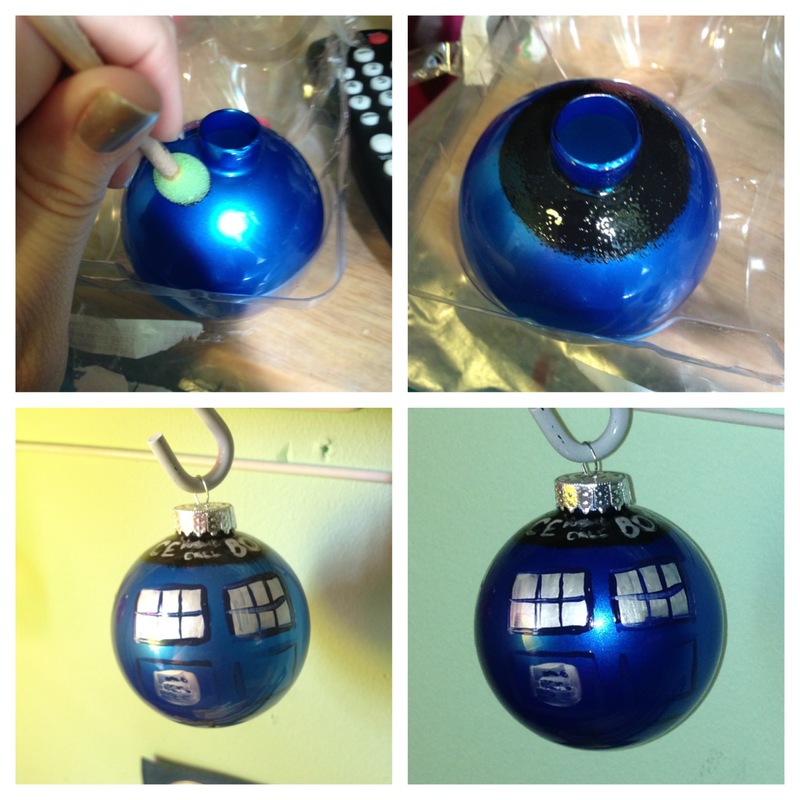 Love the TARDIS ornament! Following your instruction, using the enamel paint and all, I have been attempting it myself tonight. I had them draining the excess paint out, but I guess maybe it was too long since one of them is streaky, like too much paint left! How can I know the right timing, the balance between needing to let them drain the extra so there isn’t a blob of paint left in the bottom, and leaving just enough that it doesn’t do that again? May I ask what brand of paint you are using? It is always a little tricky because some brands are thicker while some are thinner. The thicker ones tend to take longer to roll around the inside to cover it completely, thus needing more paint to cover. The thinner ones tend to drain really easily but sometimes drain too much (hence the issues I had with the pink jeweled one). It’s not always easy to know the right timing, each one seems to have their own little personality 😛 I’d just keep an eye on it and when it looks like it’s stopped dripping, you can turn it right side up and let it finishing drying. Let me know if it’s still streaky and which brand it is! Hope this helps! Thanks for replying. I’m using Americana Crystal Gloss Enamels glitter. (love the sparkly for the Tardis. 🙂 ) At first, the paint was so globby and thick inside that I thought maybe the colder weather had thickened it because it wouldn’t swirl around in the ornament. Maybe this was a bad idea, but I needed to thin it a tad so it would even slide around instead of globs dropping, so I added a bit of hot water to the paint to thin it. It seemed to help, it then slid around nicely in the ball. Then I drained them (I was trying two) and after they seemed drained well, I set them up to dry. Then the next day one had streaky lines around it and the other was even worse, all patchy spots with paint missing. And yet? I saw there was still more paint in the bottom that I could make slide around,, so I guess it slid off the other parts and back down to the bottom. Ugh. Frustration. If the hot water for thinning was bad, and I didn’t use a lot, then what could I use to make it not so blob-like so it slides around well? Thanks so much for any help! I know you understand craft frustration from your pink ornament experience! Making the little box Tardis for my daughter’s bday wasn’t anywhere near as frustrating, lol! I wanted to check in and see how the ornaments went! Sorry it has taken me so long to get back to you! I use either the Folk Art acrylic brands or the Apple brands with enamel. I found they aren’t as thick and are much easier to move around. I tend to have a little bit more of a problem with the Apple than the Folk Art though. I am STILL sad about that pink one! Gracious, I loved that little disco ball! 😦 I guess I’ll have to break out the ornaments and do another this year. Hope all went well! Send pictures if you get a chance! Hi, I’m currently doing this same project, painting the inside of ornaments. I set aside the project for the past couple of days and was looking at my ornaments and they had dried funny. The paint came off in part of the inside when I had them tipped over for drying and dripping out the excess paint. I’m sad and a bit annoyed at it all since it is a lot of work to coat the inside of these buggers. just wondering if you had a solutions. Since painting them again takes so much extra time and paint.